Hudson Valley artist and writer Matt Maley alludes to why Trump is such a grump. 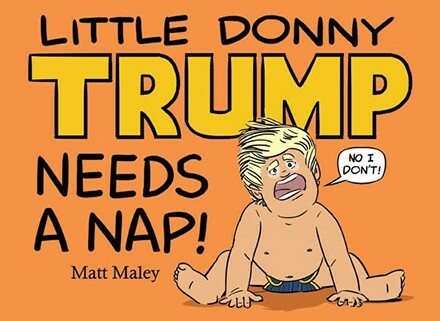 Maley’s Little Donny Trump will have you wondering if our republican candidate still needs a nice, long nap. Because he’s clearly too busy telling people what he thinks. Considering the graphic novel is fueled by direct Trump quotes deconstructed into child's storyline. The only difference between the baby tyrant and Trump is that little Donny’s got more than just a few wisps of hair on his head.